The Book – It’s Here!!!!!! I received a nice little present in the mail yesterday – a box containing copies of the new book from Kansas City Star under their new imprint My Stars. 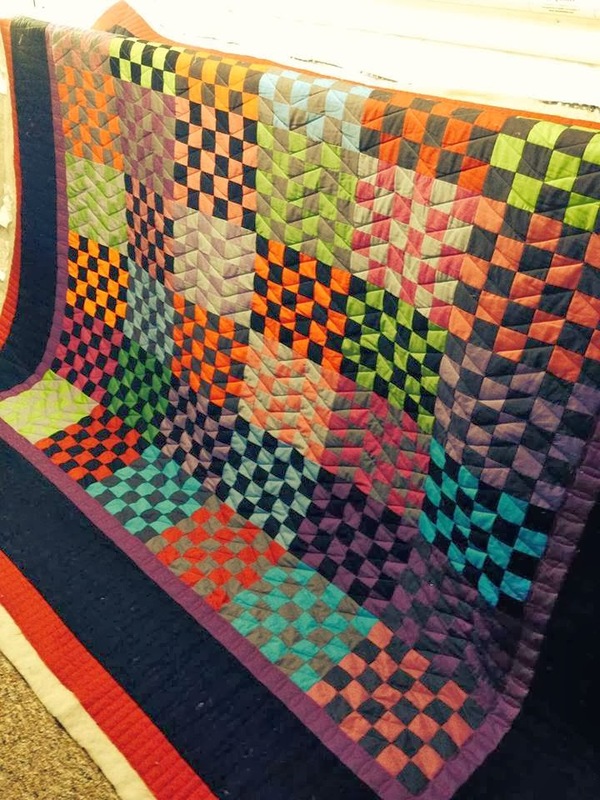 The book Classic Modern Quilts features quilts from ten designers. 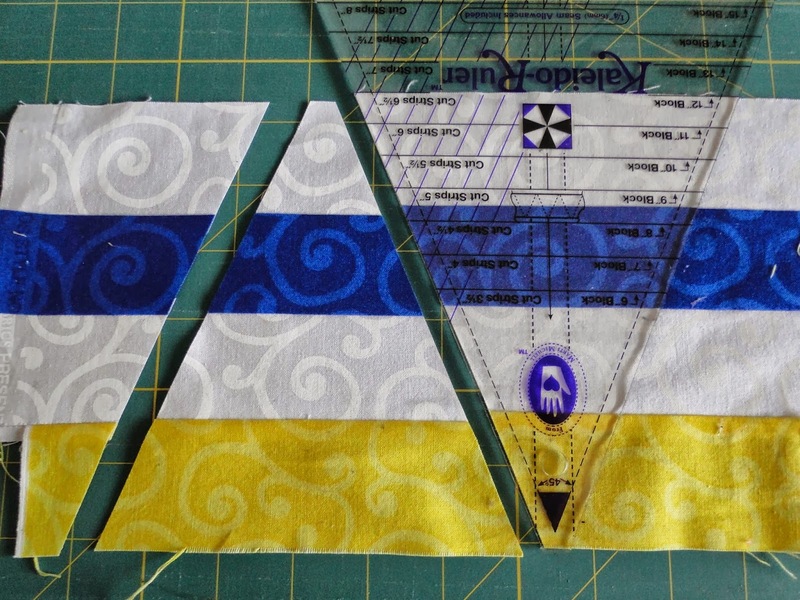 We were given the task of taking one of the classic Kansas City Star quilt blocks and giving it a bit of a Modern twist. 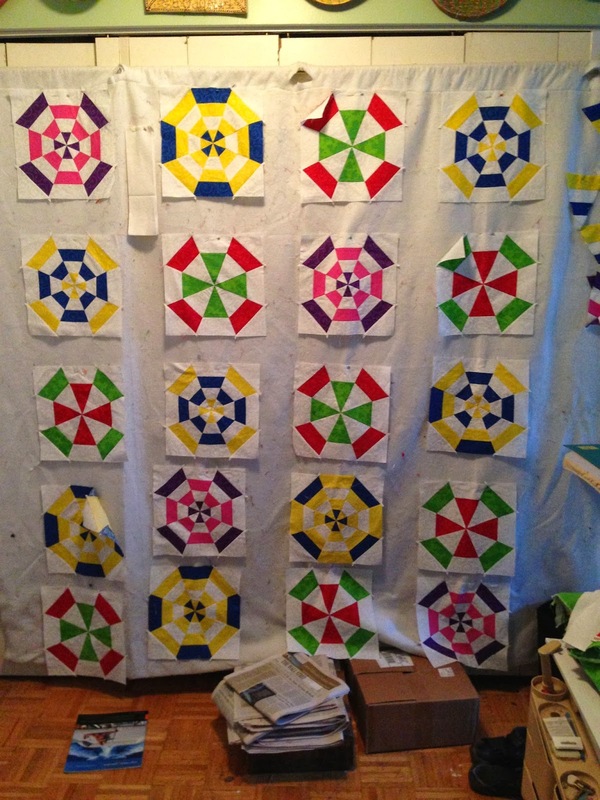 I chose the Spider Web Block – Fourth row from the top – last block on the right. The book is a visual delight. They really outdid themselves with the photography. 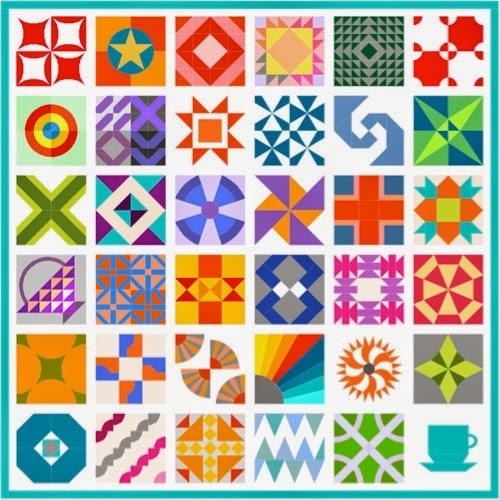 Another treat is that each of us was asked to define “Modern Quilting” – well as you can guess there is a lot of variety in our answers – but also a lot in common. But then I can’t spill the beans on what we say – you have to pick up a copy of the book and read for yourself! 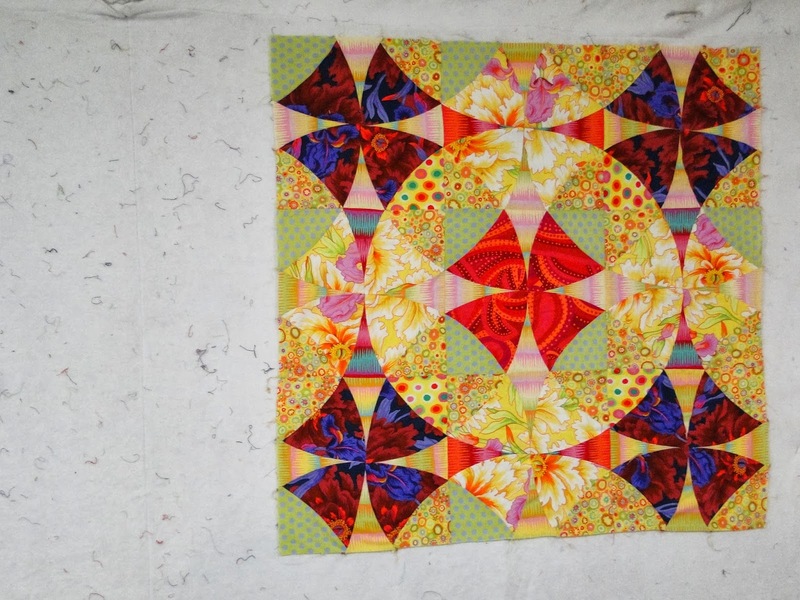 Finally the book has 10 wonderful quilts that you can make – but those 10 quilts are also a wonderful design lab for the quilter in seeing how YOU might take another block and make it YOUR own. The fall weather is upon us – pick-up the book, pick up your favorite beverage, and browse through the book and let your creative imagination kick in gear. CLICK HERE for more information about the book. 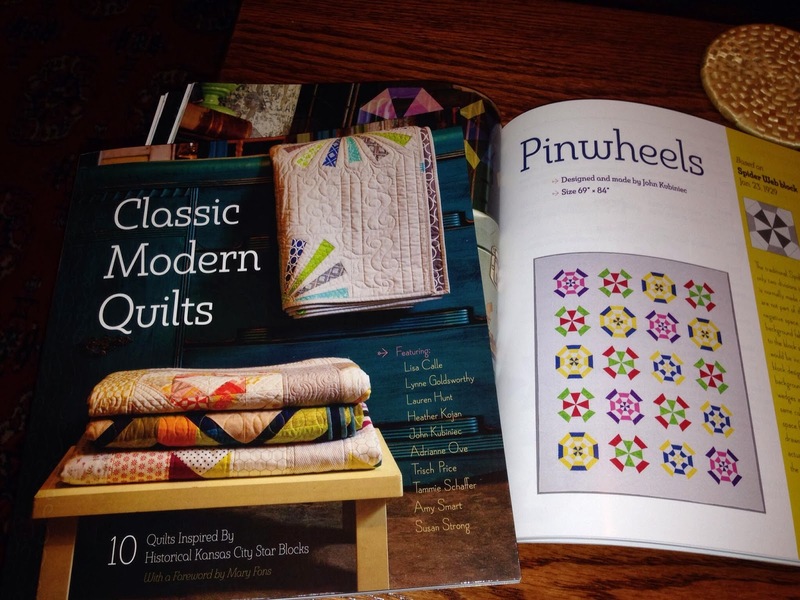 Ask your local quilt store to stock the book. 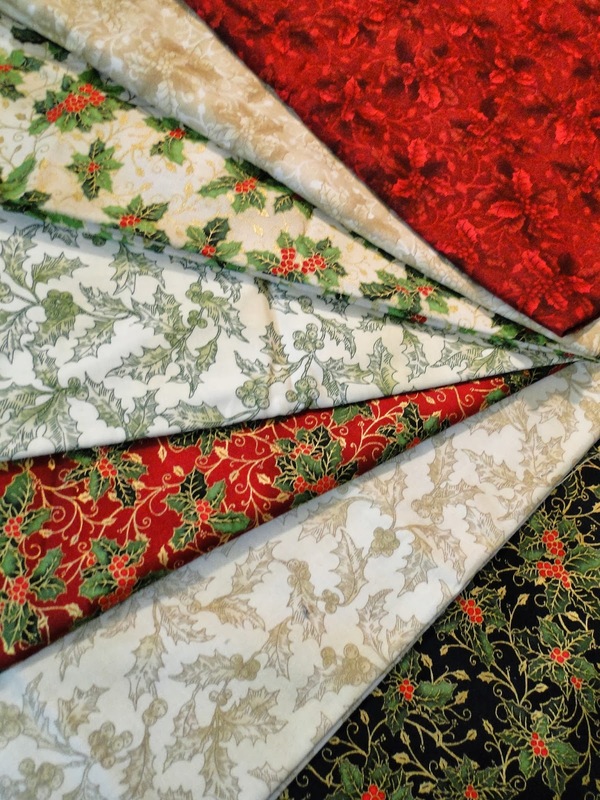 If you happen to be coming to Quilt Market this week (or tell your shop owner!) Stop by our Schoolhouse on Friday afternoon at 5:45 in room 381 C and by the Kansas City Star Booth (# 2046) on Sunday at 12:30 pm for a book signing. 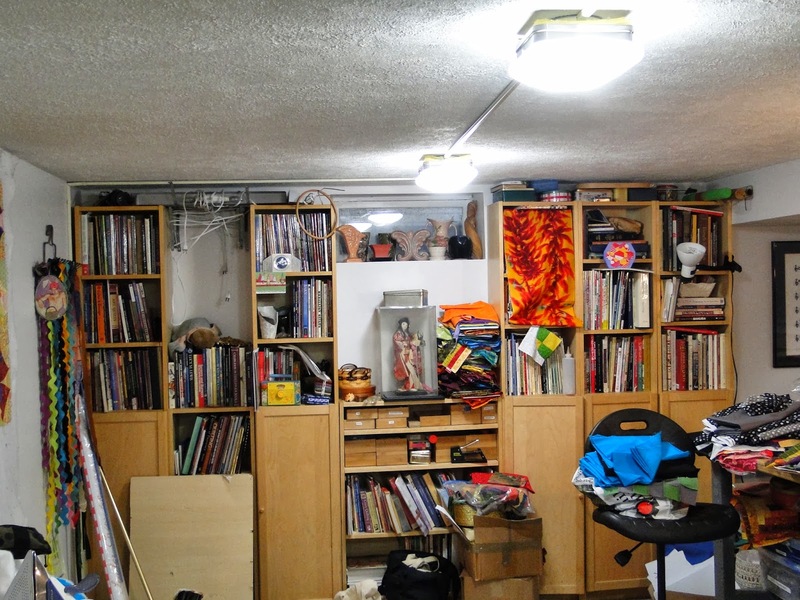 As I had mentioned in previous posts I needed to do something about the lighting in my studio. 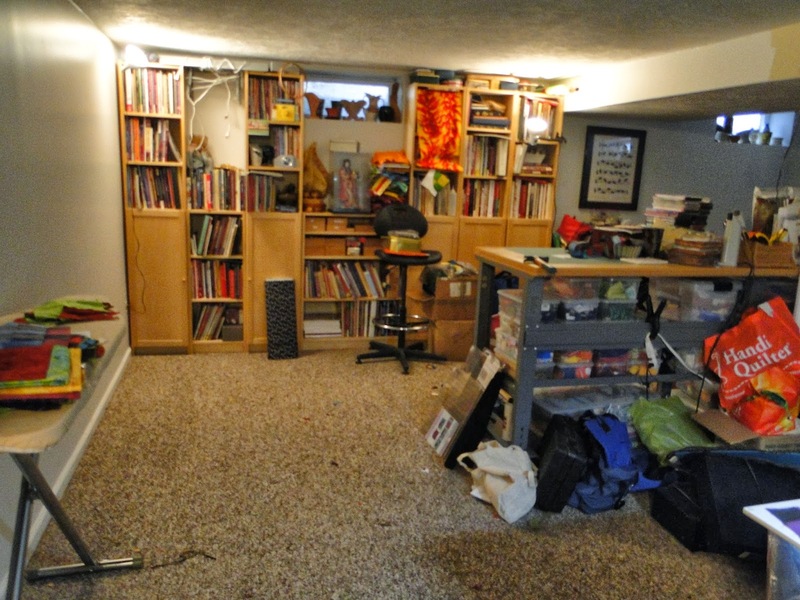 I am in the basement, and while I do get natural light, it is not really adequate. Also there was only one fixture in the back end of the room (where my longarm is). 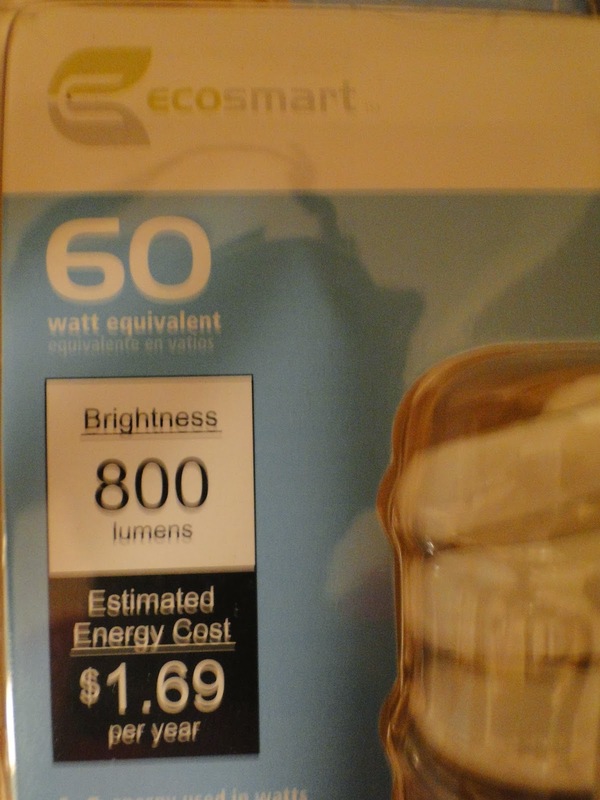 I purchased three fixtures at Home Depot that fit close to the ceiling. 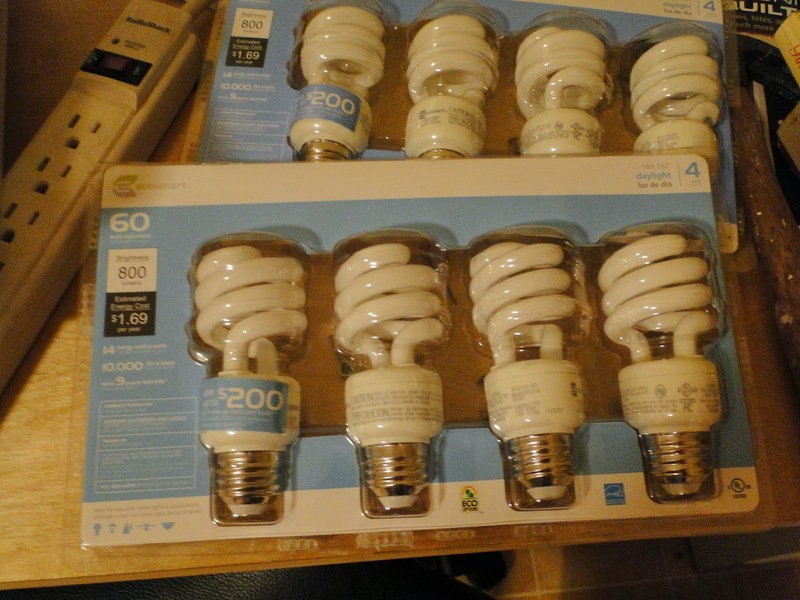 I also used bulbs which simulate natural light. I must say they make a big difference. Right now up on my design wall is a sample that is in progress for a class I will be teaching in January at Patricias’ Fabric House. 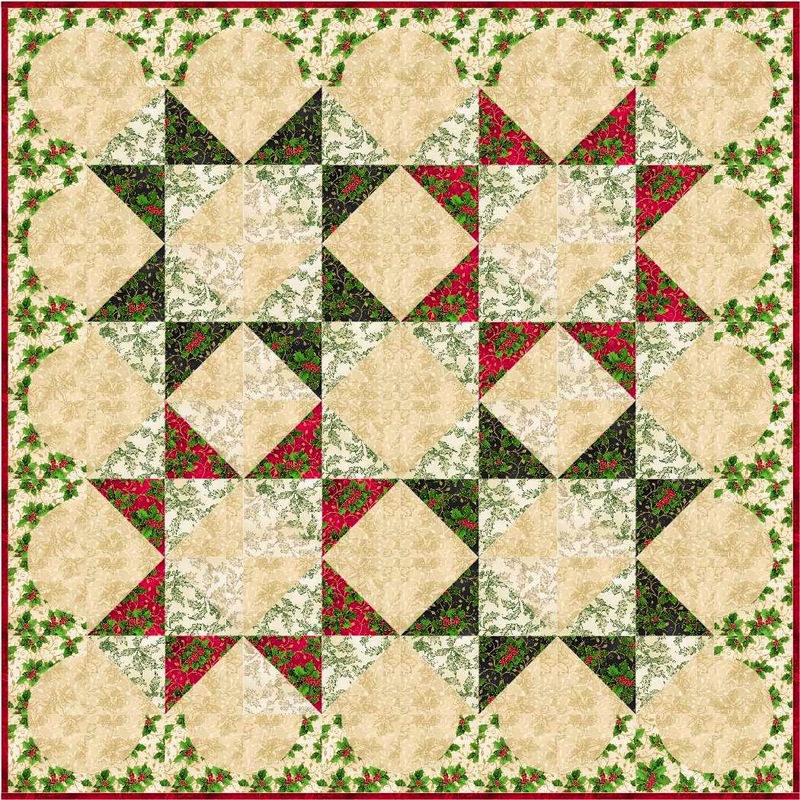 It is the Holiday Gathering Table Runner/Table Topper pattern I designed for RJR Fabrics. I just finished this quilt and sent it off in the mail yesterday. 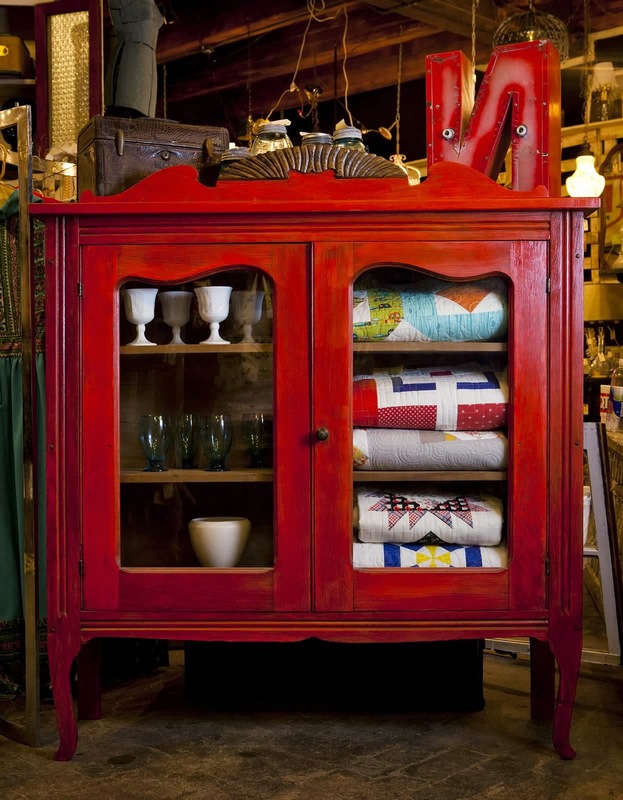 It uses Kona Solids from Robert Kaufman Fabrics. I pieced and quilted it using Aurifil 50 weight thread and used Pellon wool Batting. 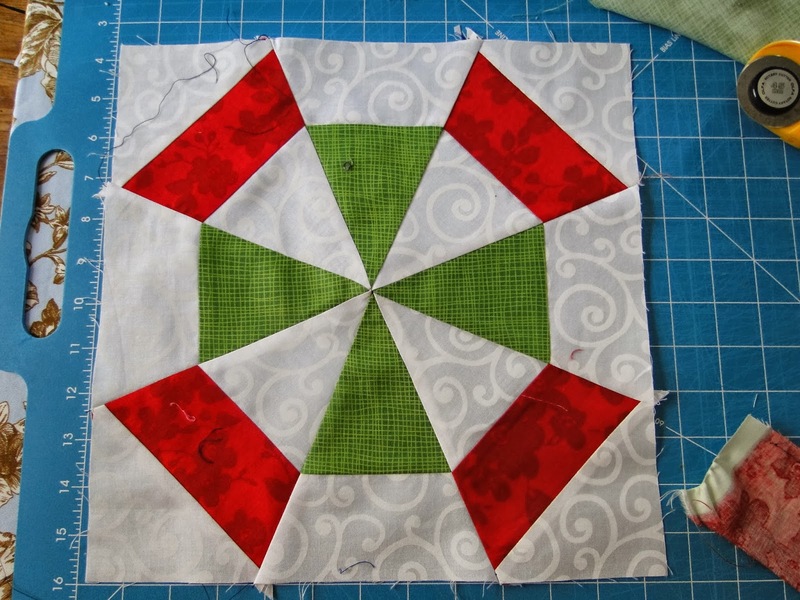 My trusty Handi Quilter Sixteen did the task in fine fashion – I had lots of fun playing with my Rulers making all those straight lines. Fingers crossed that it will be appearing in a magazine early next year – I will keep you posted. Got to get back to work! What are you working on?